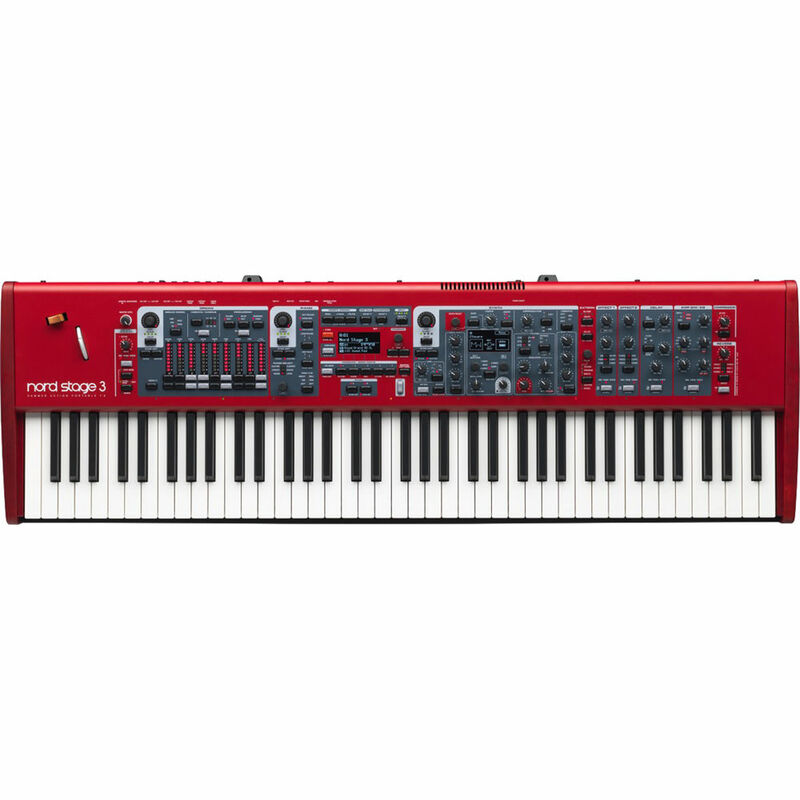 The Stage 3 HP76 76-Note, Hammer-Action Portable Keyboard from Nord is the fifth generation of their Stage series performance keyboard and features two clear OLED displays, seamless transitions when changing programs/sounds, extended split functionality with optional crossfade, and the addition of the song list mode. 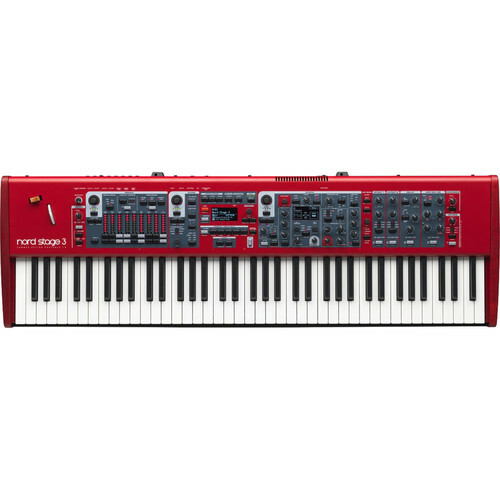 The keyboard is designed to provide high-quality organs, pianos, and synthesizer sounds, all of which can be used simultaneously, but also offers the ability to load your own samples or load additional sounds from Nord's libraries. Some of the main features of the piano section are a doubled memory (2GB) for the piano library, expanded polyphony (120 voices), and creative filter presets. The A1 synth engine is equipped with sample playback, a dedicated OLED display for oscillator functions, expanded memory (480MB) for the sample library, and a Super Wave category (S-wave). Additional features of the organ section are a Nord C2D organ engine, two new pipe organ models, and a Model 122 Vintage Rotary Speaker. Furthermore, the Nord Stage 3 effects section features a new filter effect, extended morphable parameters, and enhanced delay effects with a separate reverb and compressor for each slot. Also, the effects sections have a wide range of instantly tweakable high-quality effects, all of which are modeled after classic stompboxes and are available for each slot. Finally, a new Song Mode lets you easily organize a group of programs for each specific song in the list. Each song can consist of up to 5 different programs, which are freely assignable from your existing programs. Box Dimensions (LxWxH) 53.0 x 20.0 x 10.0"